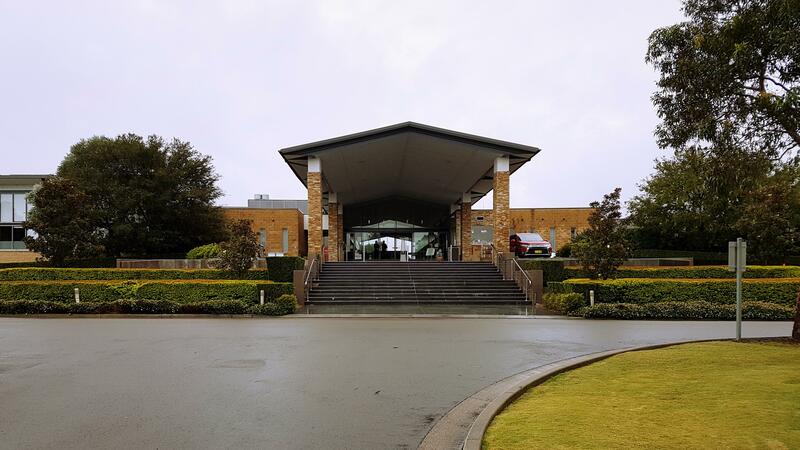 Located in the world-famous wine region Hunter Valley, the Crowne Plaza is a leisurely two hour drive from Sydney, perfect for a short getaway. The resort offers activities for guests of all ages, from the Water Dragons Kids Club catering form children between 3 and 12 to its 18-hole golf course and Ubkia Spa for the adults. With 316 guestrooms ranging from the more conventional hotel rooms to its two-three bedroom resort villas, Crowne Plaza Hunter Valley offers a wide range of accommodation options. Travelling as a Group, we stayed in the well appointed two and three bedroom villas. The three bedroom villa is a self-contained two-storey house that backs onto the open green. On the ground level are two bedrooms, the main bathroom, a generously sized lounge and a very well equipped kitchen. You can definitely cook up an amazing meal to serve the entire family if that’s your thing, otherwise there are three onsite dining options in the main building. The Master bedroom and ensuite is located upstairs creating a great parent’s retreat if you’re travelling with kids. Whilst the villa isn’t luxuriously appointed, it’s certainly comfortable, modern and caters well to its general audience. Spread across small two-storey tall blocks, our two bedroom villa was on the second level meaning you had to walk up a flight of stairs (no lifts). Apart from a noticeably smaller kitchen, the furnishing is the same as the three bedroom villa and equally spacious. Plenty of nearby parking are available free of charge. Most amenities, including the hotel reception and signature restaurant – Redsalt, are located in the main building. Overlooking the scenic golf course and swimming pool, Redsalt is famous for serving the region’s freshest produce, accompanied by an extensive list of locally sourced wine. We had the pleasure of trying a special degustation menu with matching wine which was just devine. The best thing was the baby/child friendliness of the restaurant and staff, so parents and bub can all enjoy. If you’re looking for something more causal, then there’s the Lovedale Bar and Restaurant one floor down, or the Vista Lounge serves bar meals and drinks. From the calm evenings, Redsalt transforms into a busy breakfast restaurant offering an amazing assortment, buffet style. My personal favourite was the fresh juices you make yourself and the barista made coffee. As busy as the breakfast sitting is, staff manages to put on a smile, and that makes a world of difference. For the health conscious, there are plenty of exercise options, from a workout at the well-equipped gym, a game of golf, a swim to perhaps power walking along the beautiful grounds. 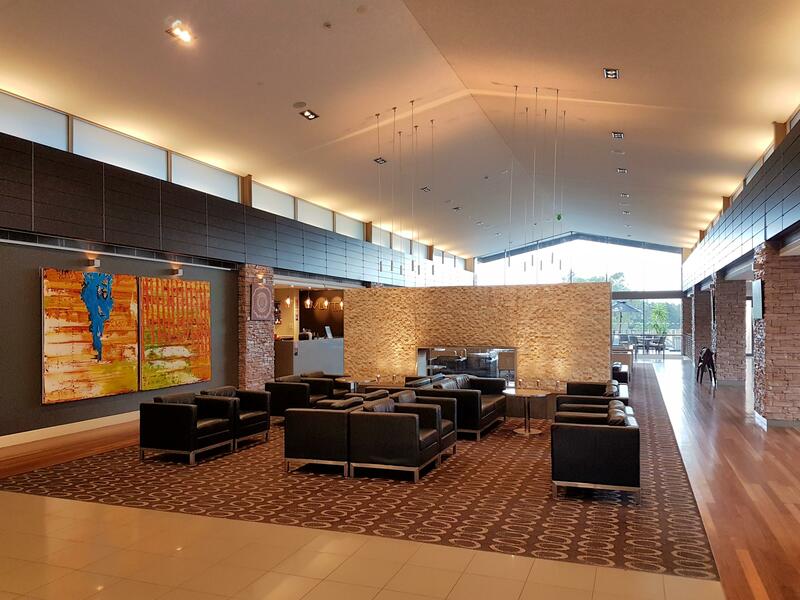 Overall, the Crowne Plaza Hunter Valley certainly ticks all the boxes for a nice family, couple or group getaway from town.